The woman tried to pour the kerosene in the bottle on herself, but was stopped by police before she could do anything further, the official said. This is the latest in a series of similar incidents at the Maharashtra secretariat this year. 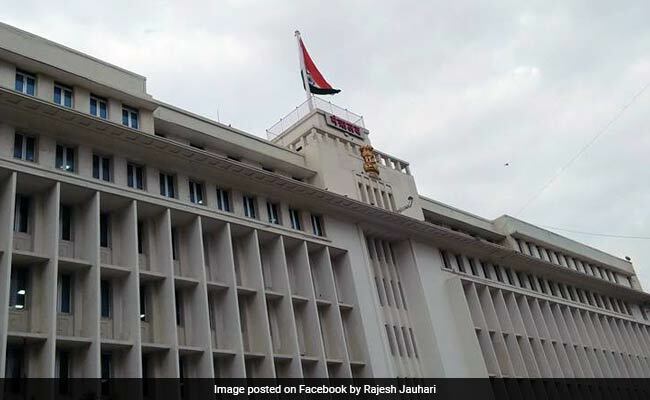 A 27-year-old woman was prevented by police from setting herself on fire outside the Mantralaya building Thursday, an official said. The woman, a resident of suburban Chembur, wanted to meet someone in the home department, the police official said. Seeing that she was carrying a bottle of some liquid, the police personnel at the entry gate stopped her. The woman then fainted, following which she was taken to a hospital and was allowed to go home after treatment, he said. The woman wanted to meet someone in the home department to seek intervention regarding a complaint of molestation lodged against one of her relatives, the official said. The woman herself had lodged a case of molestation against one person; and allegedly to take revenge, another case of molestation was lodged against her relative, he said. In June this year, a youth from Dhule in north Maharashtra attempted suicide at the entrance of Mantralaya. Before that, in March, a 56-year-old labourer tried to end his life outside the building. In February, a 45-year-old man allegedly committed suicide by jumping from the fifth floor of Mantralaya, after which the government set up a safety net inside. In January, an 84-year-old farmer from Dhule consumed poison on Mantralaya premises, demanding adequate compensation for his land. He later died in hospital.